Federal University Oye-Ekiti, FUOYE resumption date and second semester exam starting date have been announced after 2017 ASUU strike was called off by the union leadership. The dates were announced in a statement released by the management of the University. After ASUU called off the strike it embarked upon earlier, the authorities of FUOYE hereby informs all students to resume for academic activities on the date announced. The should note that exams start shortly afterwards. 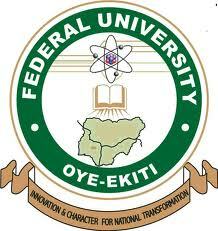 Federal University, Oye-Ekiti (FUOYE) resumption date for the conclusion of academic activities for the second semester, 2016/2017 academic session has been announced. All staff and students are to note that normal academic activities will resume in the University on Monday, 25th September, 2017. Please also note that the second Semester Examination (2016/2017 academic session) will commence on Tuesday, 3rd October, 2017.